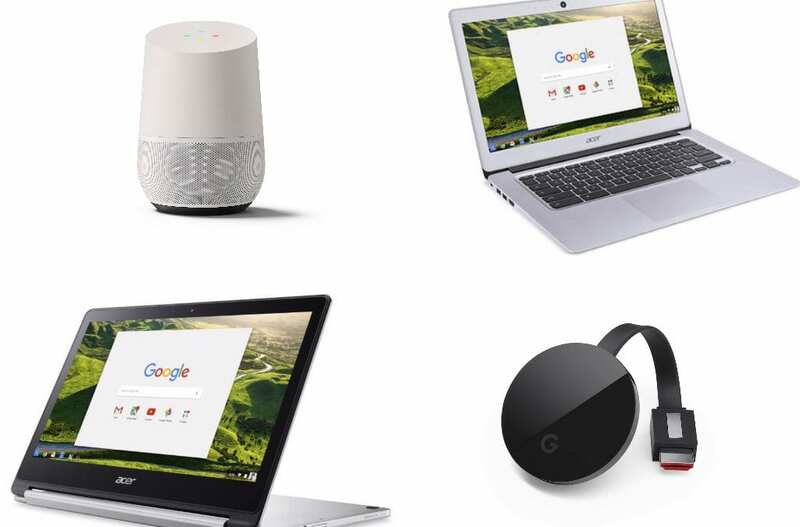 The big day is here and we’ve got a list a mile long to save you some serious dollars on your favorite Chrome OS devices, Chromecasts and more. As in recent years, most retailers are offering the same discounts on most Google-related products so I’ll save you my usual long-windedness and dive right in with a rundown of the best of what’s around. This one just popped up in my email this morning and it’s a killer deal on a Chromebook that is still a solid buy two years after its release. The ASUS Chromebook C302 sports a Skylake Core m3 processor, 4GB RAM and 64GB of storage and comes wrapped in an all-aluminum chassis with an FHD 1920×1080 display. It has long been one of my favorite devices and today Amazon has in priced at an impressive $399.99. The only drawback of this Chromebook is the fact that, like the Samsung Chromebook Pro, Linux app support is still nowhere to be found and I’m not sure if that’s ever going to change. Still, if that doesn’t matter to you, I can’t recommend the C302 enough. If you’re looking for a little more power, the Core m5 model is $150 off at a very reasonable $499. The Pixelbook is still rocking a strong $300 discount from most retailers including the Google Store, BH Photo, Amazon and others. So long as supplies hold, you can pick up what is one of the best Chromebook deals going this Black Friday. This was probably the craziest deal I’ve seen this year. The Core m3 HP Chromebook x360 14 is lacking a little in the storage department but 8GB of RAM and 8th Gen Kaby Lake processor make this 14″ convertible a good purchase at HP’s MSRP of $599. Yesterday, HP was offering $150 off the Chromebook x360 14 and looks like the demand has driven the price back up. It’s still a great deal at $519 and you can have it as early as Tuesday if you order now. In the budget Chromebook arena, there is no shortage of deals to be had. Like last year, many retailers are offering devices like the Samsung Chromebook 3 for around $100 and that’s great but I also recommend spending a few extra dollars if you plan on getting the most life out of a “cheap” Chromebook. RAM: 4GB is the bare minimum in my humble opinion. Most average users will be able to move around Chrome OS with little to no hiccups when using 4GB of memory but when you cut that down to 2GB, Chromebooks really start to struggle. I wouldn’t tell you to buy a 2GB Chromebook regardless of the price. Shoot, my phone has 8GB why would I want 2GB in my laptop. Original release date: This is one of my biggest pet peeves. All over sites like Amazon and eBay you’ll see listing for devices such as the Acer Chromebook R11 that say “2018 newest model” or something along those lines. It’s not false advertising but man is it misleading. The device was most likely manufactured in 2018 but the release date of the particular model could be years prior. That’s important because Google’s Auto Update Policy begins from the date the baseboard hit the market. That “new” Chromebook you just but for a steal may only get updates for another two or three years and that’s not money well spent. If you’re unsure of the release date of a device, you can get detailed information here. Many of the “cheap” Chromebooks you see around the holidays are Braswell devices and they are approaching the three-year mark. Stay informed. With that being said, here are a few Chromebooks you can pick up for around $100-$150 just be aware of what you’re getting. The smart-speaker and smart-display markets are expanding exponentially and Google has entered those spaces in full force with not only their own #MadeByGoogle products but a growing number of third-party devices featuring the Google Assistant. Black Friday is offering discounts on Assistant-enabled products to fit just about anyone’s needs. Here are the best smart-display and speaker deals going this week. Last year, you could get a free Google Home Mini at a number of stores with the purchase of various products but in 2018, you can simply buy one half off. Pretty much every retailer, online and in-stores, is offering the tiny Assistant speaker for $25. Grab yours from any of the links below and get your feet wet in the connected home space. You can also save up to $50 on the original Google Home or a few dollars when you mix and match devices like the Mini and a Chromecast or GE smart bulbs. If a smart-display is on your list, Google’s new Home Hub is only $99 everywhere, even Lowe’s if you happen to be picking up some DIY stuff this weekend. The small display is Google’s rendition of a visual Assistant that follows in the footsteps of Lenovo, JBL and LG. The Google Home Hub has taken a slightly different approach than its partners as it has done away with the camera and focuses more on being a bedside type of device that offers full smart-home integration. Grab one at any of the retailers below in either Chalk or Charcoal. Lenovo’s Smart Display is also deeply discounted for the holidays. The 8″ Assistant display that focuses on aesthetics and has a very rich display is half off from Lenovo and most major retailers. Lenovo is also offering some extra savings when you bundle the smart display with various accessories. Check it out. Best Buy’s Insignia Voice speakers have made our recommendation list multiple times thanks to their low price, Assistant functionality and extra features including a clock/temp display and portability if you get the rechargeable model. They’re also the only Assistant speakers that we know off that are capable of “speaker pairing” outside of the $400 Google Home Max. You can pick up either model at Best Buy for under $30. That’s $120 off for the portable model that touts 5 hours of life on one charge. If you’re looking to upgrade your streaming game, Google’s Chromecasts are on offer again this year and you can pick up the latest Gen 3 Chromecast for a measly $25 or go 4K and snag the Chromecast Ultra for $49. You can also pick up the Chromecast Audio for your speakers for only $15. So, we decided to make some Chrome Unboxed swag and you can now pick some up at Amazon. 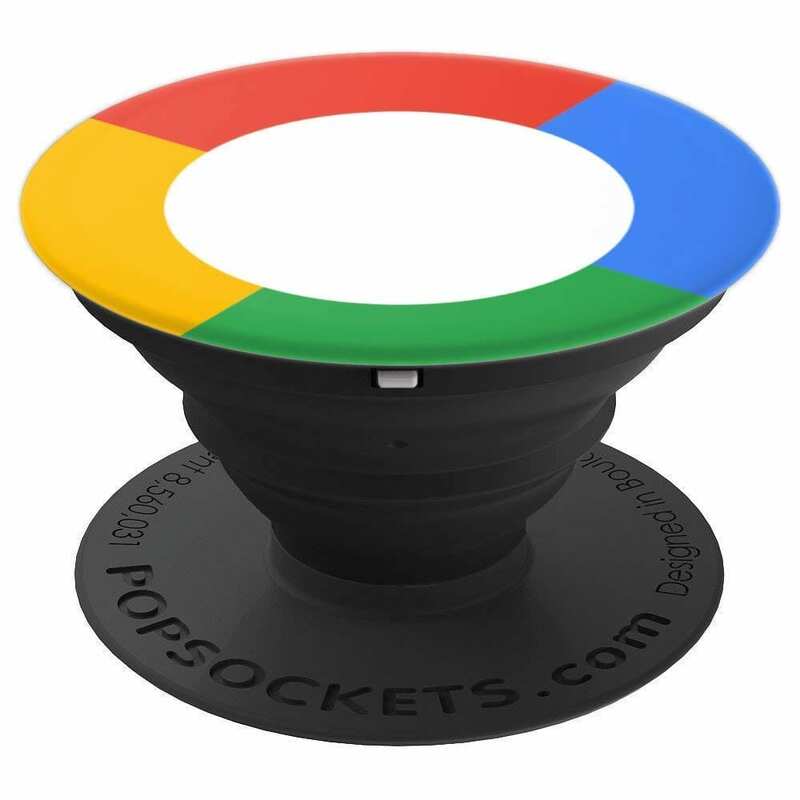 We will have more products in the near future but for now, you can grab a CU Popsocket for your phone and show off your Chrome Unboxed colors. Storage is always to have handy around the house when all the Chromebooks, phones, tablets and cameras come out of the wrapping. Samsung is still offering major price cuts on a number of their MicroSD cards. Logitech makes some of our favorite peripherals for a number of reasons. One, their products are solid and you can count on getting your monies worth when you buy them. Second, the unified receiver that pairs many Logitech devices work seamlessly with Chrome OS. Once paired, I can pop the USB dongle in any device and since the Logitech extension syncs across my Chromebooks, my peripherals work every time without me even thinking about it. Right now, Amazon is offering a number of Logitech mice at savings of 50% or more throughout the day. There are a lot more deals to be had this Black Friday and Cyber Monday. Don’t forget to check out the Google Store for savings on almost everything as well as some great discounts on Samsung’s latest Chromebooks. We’ll keep sharing so make sure you to check us out on Twitter for deals as they pop up. If you snagged a great deal, drop us a line so we can share the joy.